Haeundae beach is only 3 min away, bus terminal and subway is located nearby. It only takes 10 min to get to BEXCO, the biggest convention center in Busan, and Centum City Sinsegae department store, the biggest department store in the world. Our staffs are always available for you to ask if you have whatever question. We can help you to plan your trip. We invite you to have party with us and party all night long the way Koreans enjoy the party. Overall I enjoyed my stay, however the bathroom did have an off smell. Besides that, my stay was enjoyable. The guesthouse is very clean. The shower room is seperated by gender. The only draw back is the shower rooms do not have hook to hang your clothes while you bath. The spece in room is extremely small but it’s ok since most of the time we do not spend our time there. Oh ya, it will be good if there is big signage of the guesthouse, as it’s very difficult to locate it by just having the sign/notice board in front of the restaurant. It’s facing main road, right opposite of 7 eleven. Great location and facilities. Would come again during the on season. Great location, staff is really nice and friendly. Cats are so adorable. Great common place. Great location. Friendly staff. Free breakfast. The location of this place is really just fantastic for the price. 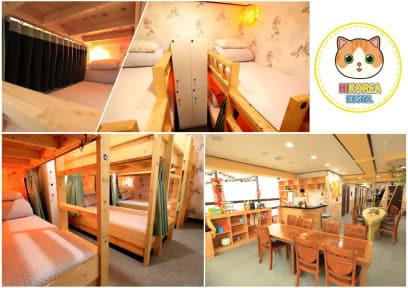 As far as the hostel itself, it is pretty nice and comfortable. I never had any problems or anything, but I was also not super blown away by anything. Which is ok with me given the price and location. I would stay here again. 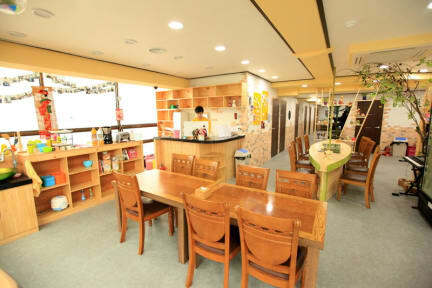 Very close to the main street, train station and haeundae beach. It rained while we were there, the staff weren't really helpful for suggestions. Beds were comfy but too cramped, two people couldn't stand between the beds. Hi Busan Guest house is a very cheap hostel right by the Heaundae Beach. It is a bit confusing to reach because there is another branch of this hostel about 5 minutes away. Visitors should note that they are looking for a 3 floor building not a 6 floor building. Facilities are not very clean, but not dirty either. The private twin room was very small, stuffy, and musty. Walls are very thin and you can hear every one talking. There is no lights our rule so it is quite hard to sleep.